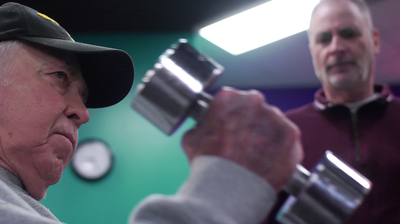 Gerofit is a supervised exercise program for older Veterans that was developed at the VA Medical Center in Durham, North Carolina, in 1986. As a part of Gerofit, you are given a personal exercise program based on your physical profile and goals. You are welcome to remain in the program as long as they wish. 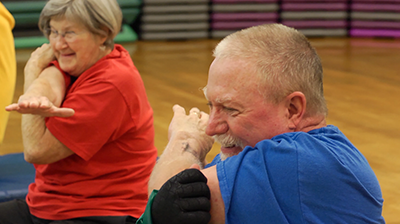 Gerofit can include individual and group based exercises such as Tai Chi, line dancing, balance, core coordination, and strengthening classes. Your exercise program may include treadmills, elliptical machines, stair climbers, bicycles and a variety of strengthening machines. 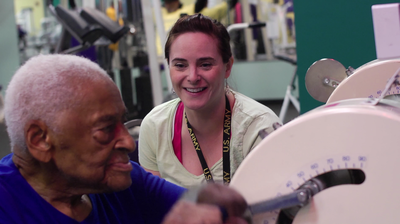 Guidance in carrying out the exercise program is provided by trained exercise staff such as a nurse or physical therapist. Participants in the program have demonstrated improved health, physical function and well-being. They have shown improvements in blood pressure, diabetes management, symptom management, well-being, quality of life, physical function, overall fitness, and longevity. A national weight management program designed to help Veterans lose weight, keep it off and improve their health. 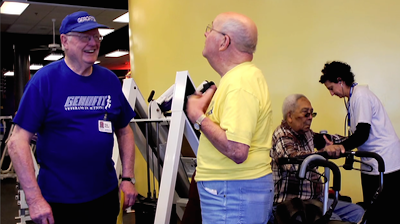 An exercise program for active, older adults. Walking, weight training, yoga.